With the release of iOS 7 comes a new look and feel for the operating system, and with only tweaks and changes having arrived since its first introduction back in 2007, it couldn’t come a minute too soon. In order to make the most of the new platform, developers have been busily working away to create new versions that can take live up to the new look, but some have gone further than this and are marking the introduction with new features too. So, here’s an up to date list of the apps that have been overhauled in preparation for launch day today alongside the older version they have replaced. 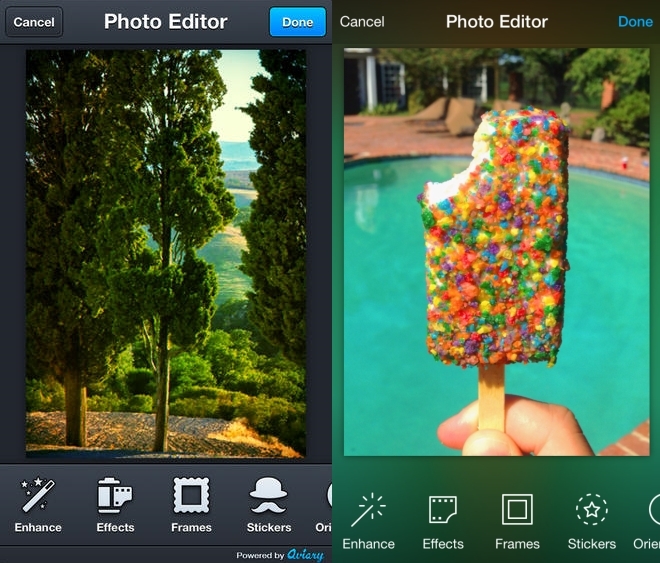 Older images are on the left throughout and new iOS 7 versions are on the right. And if they’re not live on the store just yet, they’re due to be soon. The MusixMatch iOS app has been overhauled in time for iOS 7’s arrival and includes a much slicker overall look that makes use of the transparency options nicely. In addition, features like mirroring of synced lyrics to an Apple TV and the ability to share directly to Google+ have also been added for the new version. 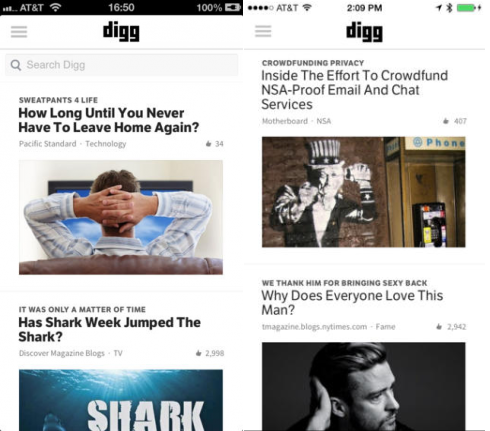 Digg version 5.2 is a light overhaul of the previous app that introduced the new ‘Popular’ section just last month. This release fixes a few bugs and improves the overall performance. Of course, for iOS 7, Digg has been updated for a fresher feel and now includes Dynamic Type and supports background refresh. Version 4.0 of RunKeeper adds a few user-requested features for mapping, activities and logging to make it easier to track runs. Of course, the app also includes a new appearance that gives it a lighter feel. Skype’s iOS app update unsurprisingly brings it in line with the rest of iOS 7 but does it in a more subtle way than some of the other revamps in this list. In addition to tweaking icons and their placement, the update also brought in video quality improvements and the option to join group voice calls from your iPhone for the first time. Not wanting to get left behind, Google wasted no time in updating its Gmail app for iOS 7 to take advantage of the new design cues. Among the changes is a new icon, new attachment options for larger thumbnails and better integration with Google apps like Google Drive and Google + (if installed). 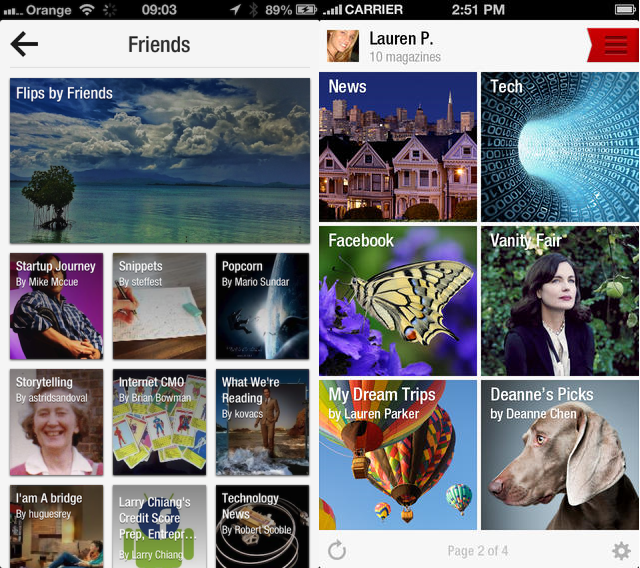 Flipboard’s iOS 7 update mostly makes cosmetic changes to the social network aggregation and news app. As well as ringing in the redesign with a tweaked set of icons and cleaner feel, it also uses the parallax effect for magazine covers. 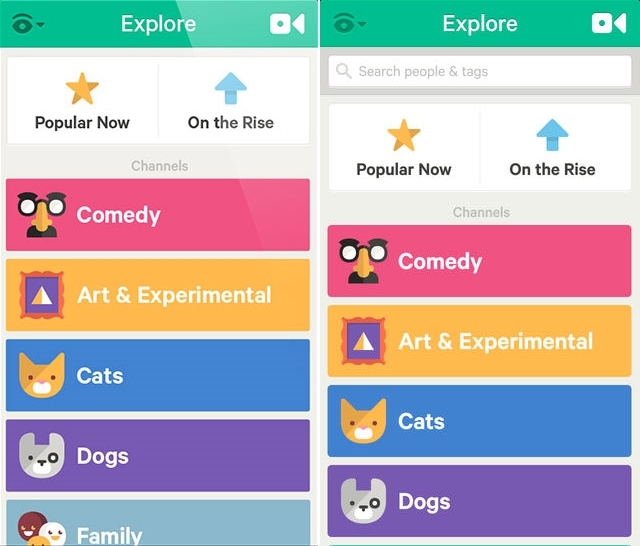 Vine’s iOS update follows not too long after its last, which added new tools for revining and shooting videos, as well as adding a trending users section. Therefore, the update for iOS 7 is largely to bring it in line with the visual appearance of the platform as a whole, rather than to add new features. Nonetheless, throughout the app there are little tweaks, such as the addition of a search bar to the Explore tab. Readdle’s Printer Pro app for iOS has been given a dash of visual sprucing to bring it in line with the new look Apple OS but can still happily print documents, e-mails and photos, as well as offering printing settings like print preview, print range, multiple pages per sheet and more. Just, a bit prettier than it did before. The Readdle Calendars 5 and Scanner Pro apps have also been tweaked too. 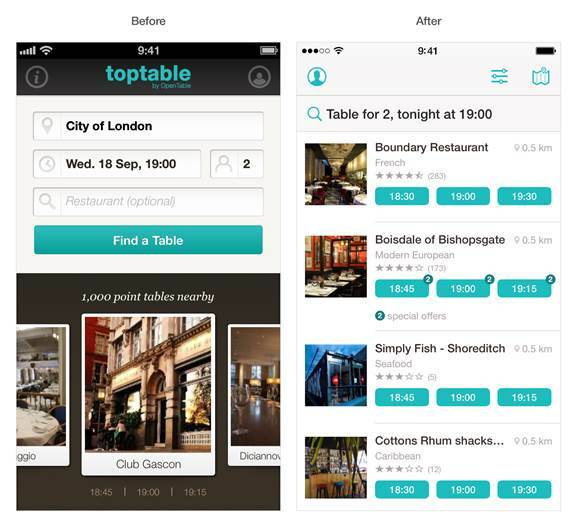 TopTable has taken the iOS 7 refresh as a chance to overhaul its app with a new look and add a few new features too. For example, the search has been streamlined so you can now change variables like time, date, party size and see the results straight away. The team has also revamped the filtering options and made it easier to see available table times by swiping left and right from the listing page, and provided easier points tracking for rewards. Facebook has announced a redesign that moves the app’s tabs from the top to the bottom. The tab bar stays out of the way until you tap the area to have them appear. The new tabs navigate to the News Feed, Requests, Messages, Notifications and a More section for timeline, groups and events. WordPress for iOS 7 adds support for the Open Sans typeface, fixes a few bugs and a cheerier interface with brighter colors. 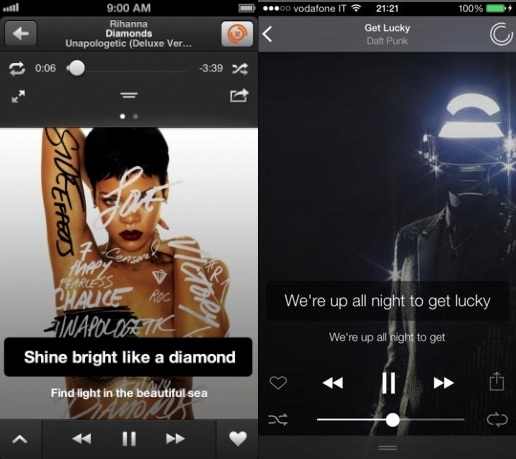 Soundwave has redesigned its relatively new social music app not long after its first feature update from last month. Version 2.0 responds to user feedback with simplified navigation. There isn’t much that needed changing with Pocket, but the minor tweaks will give it some consistency with the rest of your apps. Article layout and typography have also received some nice improvement. The new Pocket also takes advantage of background syncing on iOS 7 that works even when the app is closed. The new Vimeo app includes a drastic visual overhaul and some handy new features. Users can now upload directly to Vimeo from the iOS Camera and Photo apps. Videos saved to Watch Later or My Videos will have offline and instant playback. Thumbnails now show live previews. Vimeo is also taking advantage of iOS 7’s AirDrop to allow sharing between videos. The changes to Amazon’s new Kindle app are subtle, but they do make it easier on the eyes. Considering how much time most of us spend in this app, those small changes should add up to a much better reading experience. A new Collections feature lets you sort your books into playlist-style groups. The new Zillow takes the real estate app from a circa 2008 look up to 2013. 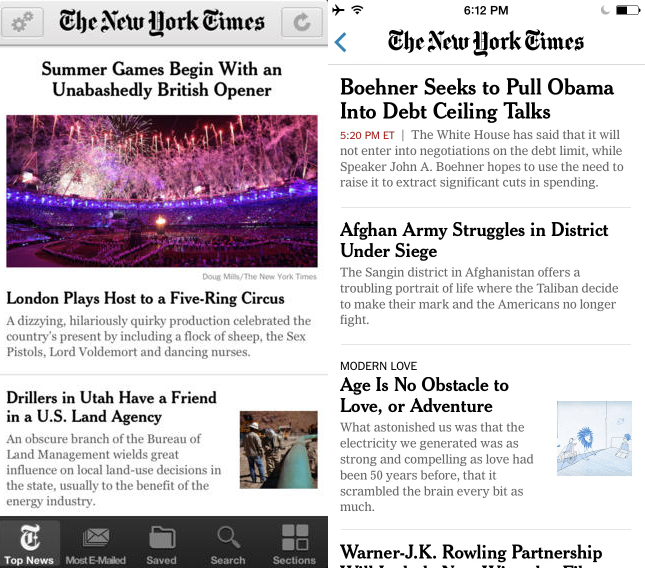 The New York Times is another media outlet keen to use Apple’s mobile OS refresh to roll out an all new version of its app from day one. And it has done it for both its iPhone and iPad apps, to keep things consistent. Both now have more fonts than before, and each section now has its own specific look, including more photos, video and other multimedia elements. 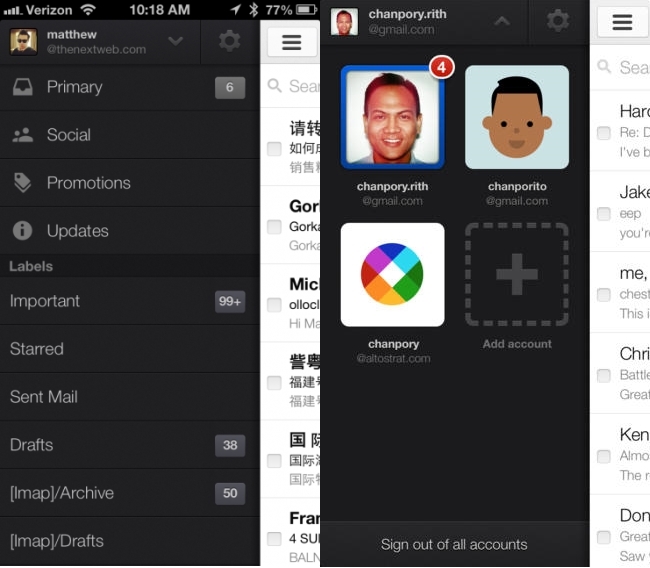 Both have also incorporated AirDrop for easy article sharing too. Out is the traditional newspaper layout for the front page, and in is an altogther more ‘Webby’ design with a central image and multiple columns around and below it, providing more white space between articles and making it a little easier on the eye. Instead of a swiping your way around a paginated view, new articles are now found by scrolling vertically on the iPad. New capabilities specific to the iPhone version of the app include full bleed images and the ability to swipe between sections, now. While Mailbox already had a largely flat design, today’s iOS 7 update makes it even cleaner. 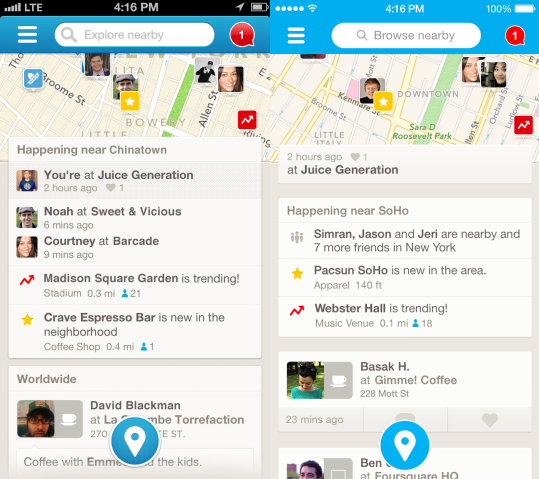 Foodspotting got a complete overhaul with a stripped down interface. Search and Explore have gotten smarter, but a couple features like Guides and Hide didn’t make it into the release. The Aviary photo editor for iOS has been overhauled to be more user friendly and to make the most of iOS 7’s new design language, including redesigned icons and more space around your pictures. As well as this, new features like Supply Shop – now the central location for all filters, frames and sticker packs. In addition, there’s also support for a range of new languages including Arabic, Turkish, Thai and Bahasa Indonesia. Your About.me profiles just got spiffier on iOS. Evernote got a complete redesign with the jump to iOS 7. The new app looks great and has a streamlined interface that should make it both easier and faster to create new notes and find existing ones. 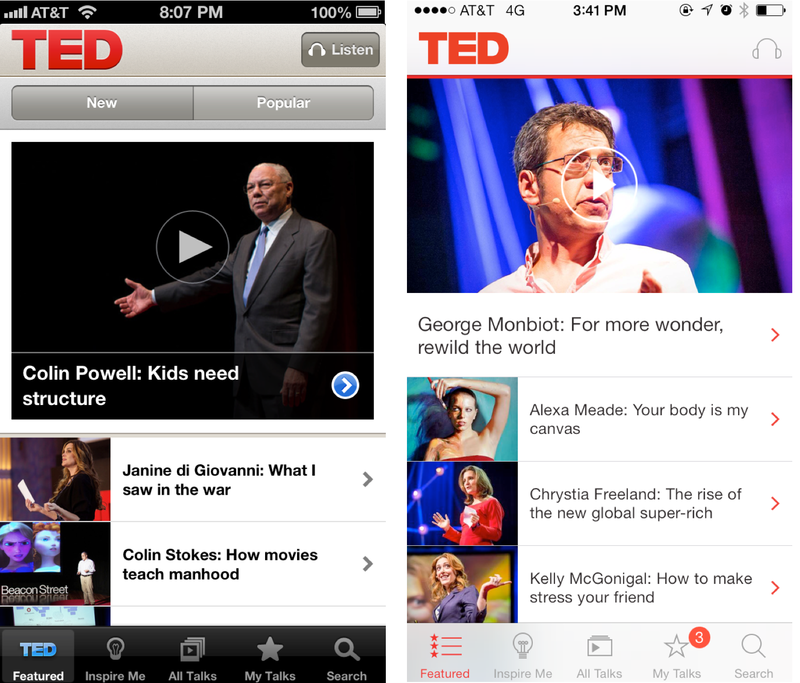 The TED lectures app has been given a fresh look for the new iOS 7 platform, swapping the overall dark theme for a lighter, simpler approach. While it is largely a superficial shift, the new app does remove the ‘New’ and ‘Popular’ filters at the top of the home page. It also removes all of the thick block text and drop shadows found in the older version and introduces an improved audio bar with time seeker and the ability to jump backwards by 30 seconds. 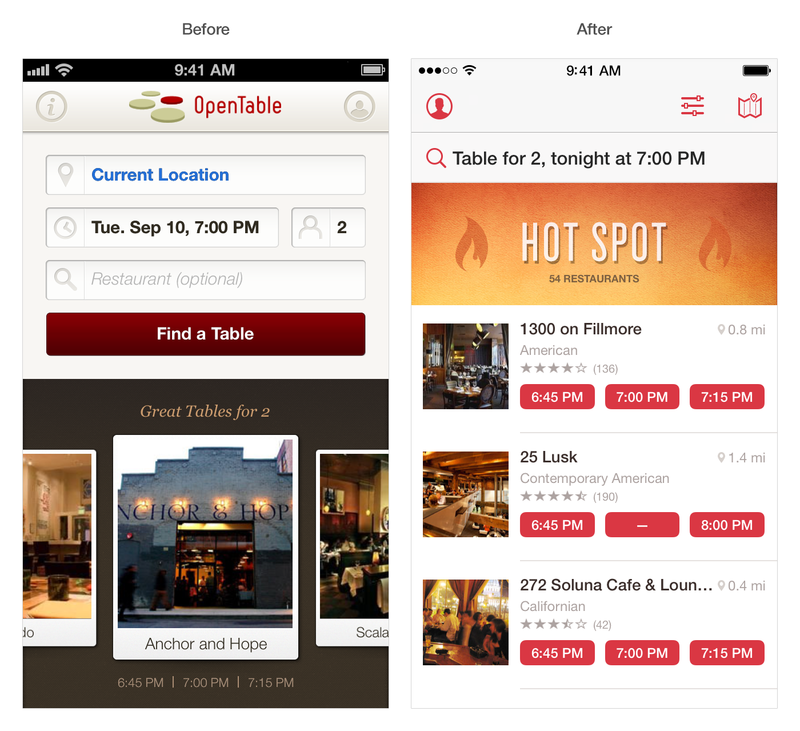 The OpenTable app has also been streamlined to provide a cleaner and less encumbered experience. As well as making the overall look a lot less clunky, it has also been redesigned to add options for easier filtering and location of specific restaurants on a map. The revamp hasn’t been restricted to the main screens either, you’ll find tweaked icons and more emphasis on images throughout. Major news organisations need to stay up to date with developments, and the apps of such organisations are no different. 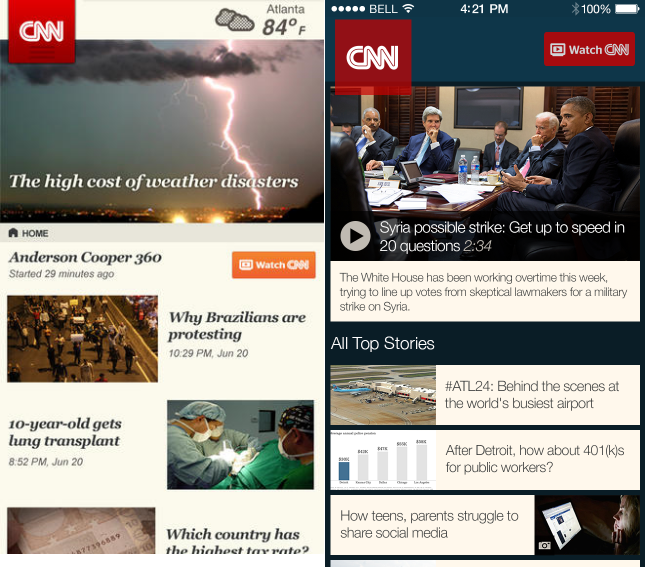 CNN hasn’t taken any shortcuts here either, opting to go for a full redesign rather than tweaks here and there. Take the image above for example, gone is the flat list of categories and options. Instead, while you still have a list, it’s an altogether more beautiful one that takes advantage of the translucency and layering in iOS 7 to make it come alive a bit. The revamp extends throughout the app too, changing the overall look, but also providing more room for information on pages like the Top Stories section, which also now includes things like a little camera icon to indicate more pictures. 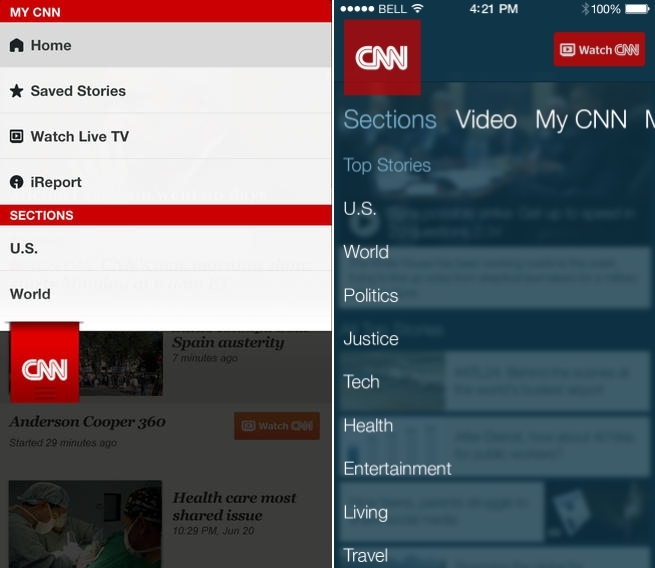 While the current version of the CNN app will work in iOS 7 without issue, the revamped app won’t hit the store for around another two weeks. 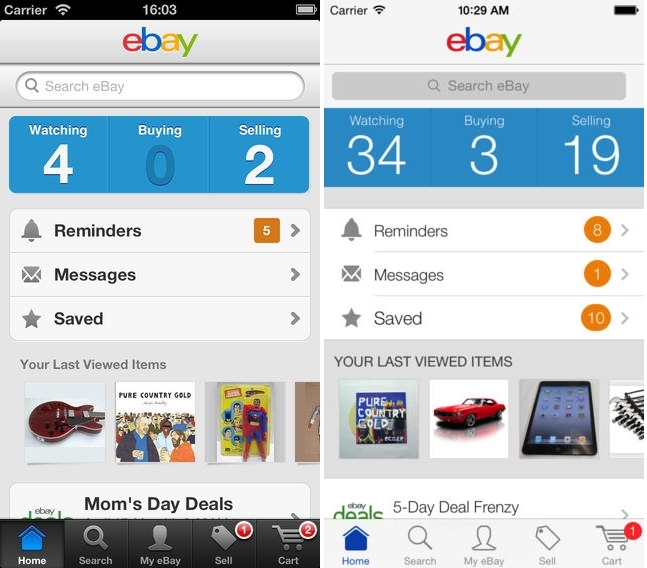 eBay is another company that has taken the chance to revamp its iPhone and iPad apps for iOS 7, with new additions to the iPad version including an overall revamped design, new search tools that the company say are easier to use and a new special ‘Night Mode’ for shopping in the dark. Switching in to Night Mode (either automatically or manually) changes the overall theme to a dark one for easier, less intrusive viewing. The iPhone update also ushers in the new cleaner look but retains largely the same feature set as the previous incarnation, albeit with tweaks here and there, like the ability to edit your address from your profile page, improved currency conversion and the addition of the ability to remove single items from your search history. 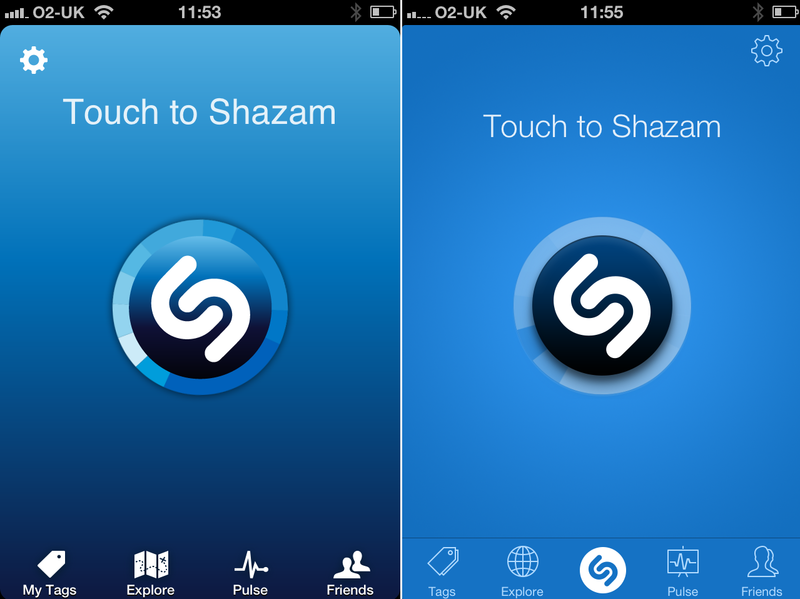 Shazam has found a middle ground between just giving its app a new lick of paint – which it has done, and it looks very nice indeed – and completely overhauling its features. What this means is it’s now possible to mention friends and places when tweeting or sharing to Facebook from the app and things like the ability to buy songs in bulk from the Explore charts. There’s also additional language support too, now including Czech, Polish and Russian. Alongside the lick of paint, Foursquare also rolled out a new feature that will tell you what’s usually popular in your area at that particular time of day. Jive is one of the first enterprise software companies to update its app for iOS 7, in time for launch day, no less. Jive’s social collaboration software hasn’t just been given some new curtains though. 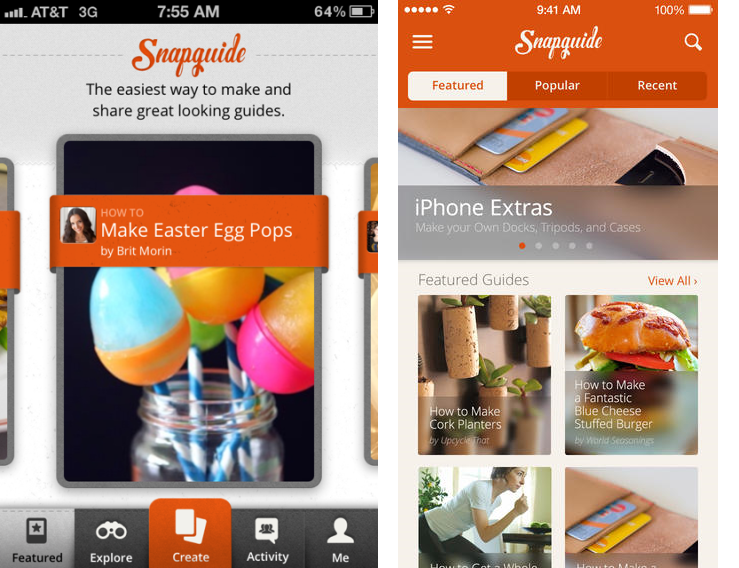 Instead, it has been completely overhauled for its iOS incarnations. Among the new features are custom streams, the ability to post images into discussions, redesigned user profiles and scrollable tables without the need to open them in a browser. 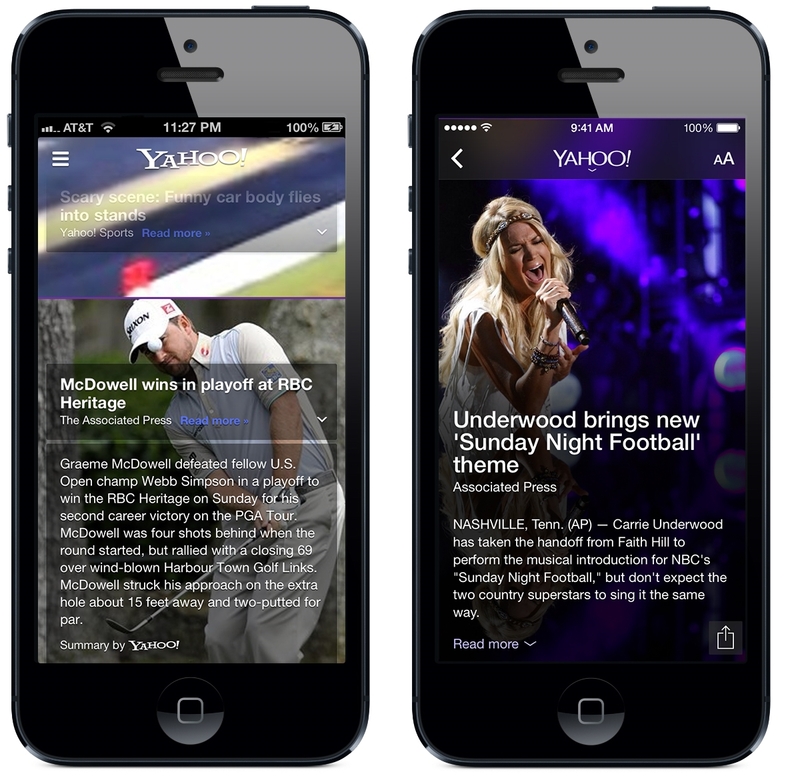 Yahoo’s updated iOS app includes new features like animated cinemagraphs, a read it later option (restricted to only US users) and a breaking news section. Snapguide has kept mostly the same content for its update, but the tweaked app ushers in slick changes that focus on more imagery and faster loading pages – both key in an app like this. There’s also a simplified Explore section (in fact, generally simplified throughout) and enhanced search to make it easier to find guides, requests and people on Snapguide. 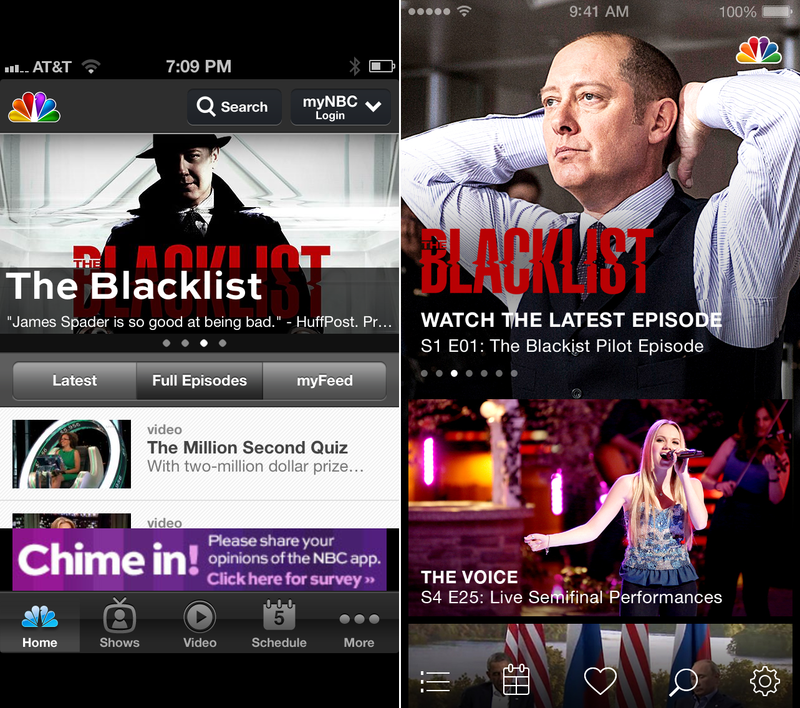 NBC is another broadcaster that has taken the chance to revamp the whole overall look and feel of its app rather than just tweaking icons and playing with opacity, though it has done that too. 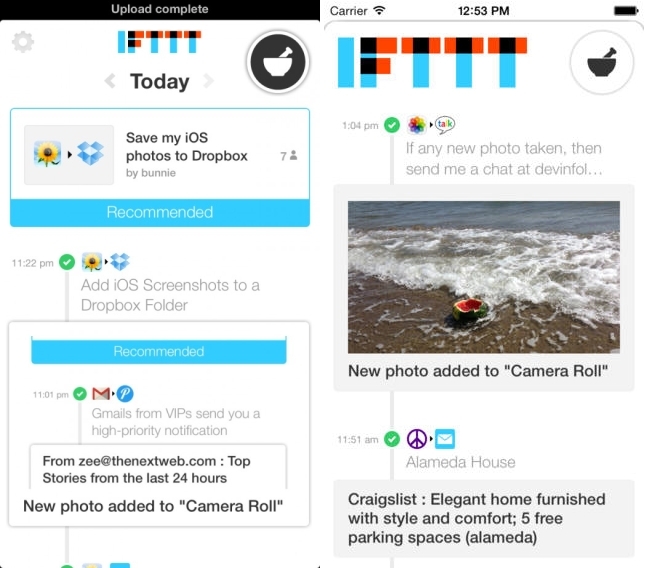 IFTTT’s iOS app has also been overhauled and is already live on the app store, bringing a slightly tweaked appearance to feeds including new icons, logos and buttons. There are also fewer bugs, the IFTTT team reports.